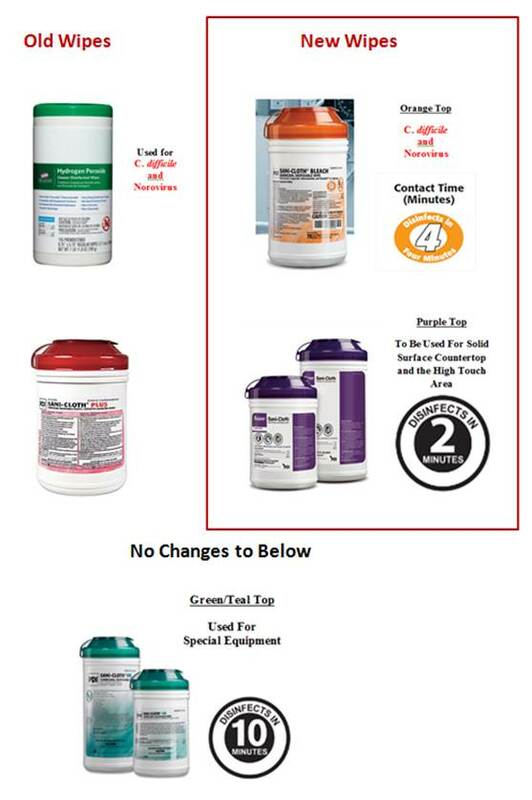 Effective today, September 19, 2017, we are switching from the red and green top wipes to purple and orange top wipes (see below pictures for details). As we transition to the new wipes, please use any opened containers of red top wipes in offices and other rooms, but do not use in patient rooms.… Read more. 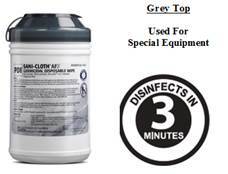 Please be advised that Cooper University Health Care has begun to purchase new disinfectant wipes. Below see a chart that details the changes and the proper uses for each new disinfectant wipe. Protecting our patients is the top priority at Cooper University Health Care.… Read more. Patients at Cooper University Health Care with multi-drug resistant organisms (MDROs) such as, but not limited to, MRSA, ESBL, and C. diff are placed on appropriate precautions depending on the mode of transmission.… Read more. 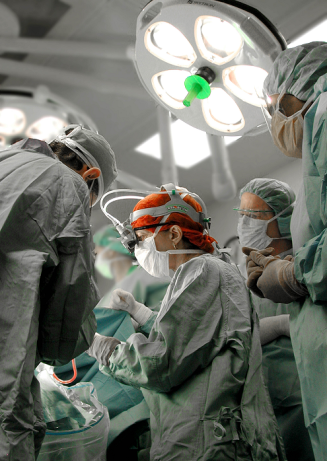 The purpose of the National Patient Safety Goals is to improve patient safety. The goals focus on problems in health care safety and how to solve them. NPSG.01.01.01 Use at least two ways to identify patients.… Read more. Your safety is important! Do not rush into activities that can result in harm to you. An employee with a weakened immune system should not enter a room unprotected from a communicable disease. 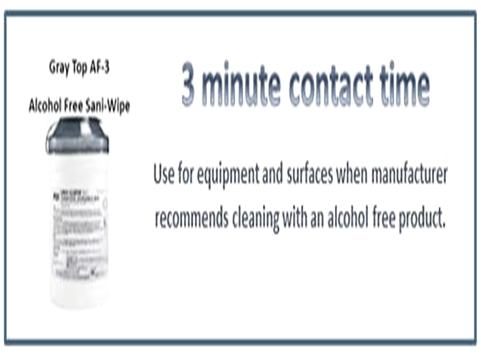 When cleaning sensitive electronic equipment, AF 3 Gray Top wipes (alcohol free) are preferred. Please follow the equipment manufacturer’s recommendations. At the beginning and end of your shift. This was originally posted on April, 17, 2017. It is being reposted because questions have been raised about the proper use of the various disinfectant products. Please keep this as a reference document. Below are the most common disinfecting products and their contact times, which have been approved for use at Cooper.… Read more. Anything soaked or saturated with blood or bodily fluid. Any type of waste from an isolation patient. Anything with a bio-hazard label, including specimen bags. All syringes with or without needles (even oral), ampules, detached needles, and spikes on IV tubing are all considered sharps. Empty medication bottles and vials go in regular trash. Some special medications, as indicated on the label, need to be returned to pharmacy, such as albuterol inhalers. Isolation Precautions should be initiated at the first suspicion of a need for Isolation. The below Epic screenshot demonstrates how nurses can initiate precautions in the patient Electronic Medical Record (EMR)-EPIC.… Read more. Copyright © 2019 Weekly Rounds.